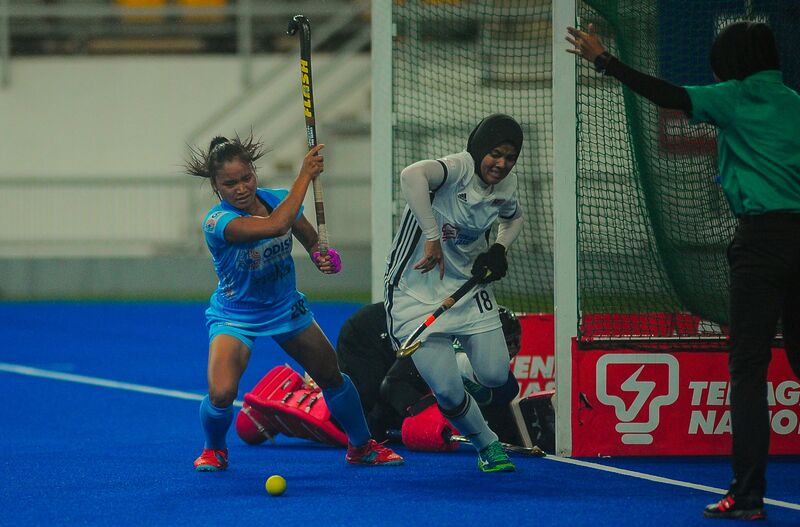 Kuala Lumpur (Malaysia), 06 April 2019: The Indian Women’s Hockey Team continued to dominate as they beat Malaysia 5-0 in their second consecutive match in the bi-lateral series here on Saturday. India was quick to get off the blocks, made an attacking start. Earning a PC as early as the third minute, India put the hosts on the backfoot. Though the PC was well-saved by the Malaysian defense India made two more potential scoring opportunities before Navjot Kaur scored India’s first goal in the 12th minute. An early 1-0 lead put India in good stead and they continued to improvise hooter-to-hooter with the hosts simply not being able to match up. In the 20th minute experienced striker Vandana converted a splendid field goal for India followed by yet another well-struck goal by Navneet Kaur that extended India’s lead to 3-0 ahead of halftime. Though no goals were scored in the third quarter, India upped the ante in the final quarter by scoring two back-to-back goals via Lalremsiami in the 54th minute and Nikki Pradhan in the 55th minute. On 8 April 2019, India will take on Malaysia in the third match at 17.35 hours IST.